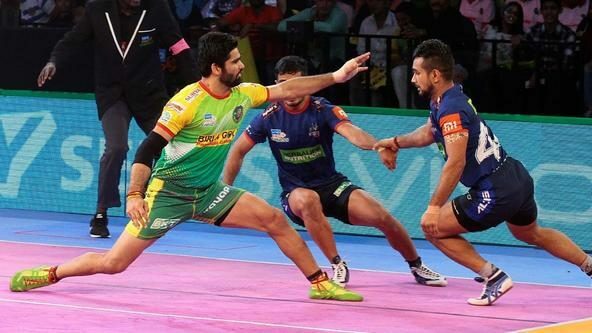 After a tie against Patna Pirates on Friday, Haryana Steelers beat Bengaluru Bulls 38-31 to register their first home win this season at the Motilal Nehru School of Sports in Sonepat on Saturday. 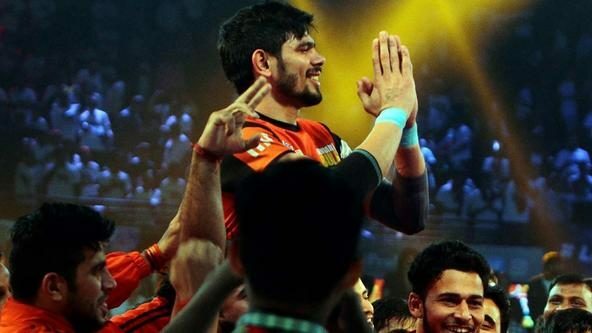 Prashanth Kumar Rai got a game-high 16 points for Haryana and was well supported by substitute Deepak Kumar Dahiya, who managed eight points. The teams took time to settle into the match with the score reading 5-5 after the opening 10 minutes. 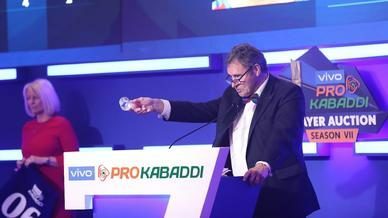 Both sides grew more confident after the game entered its second quarter as Ajay Kumar picked up a two-point raid for Bengaluru nine minutes before half-time, while Prashanth responded with a super raid for Haryana. The lead changed hands several times over the next few minutes up until the penultimate minute of the half when Dahiya pulled off a super raid to give his team a two-point lead. 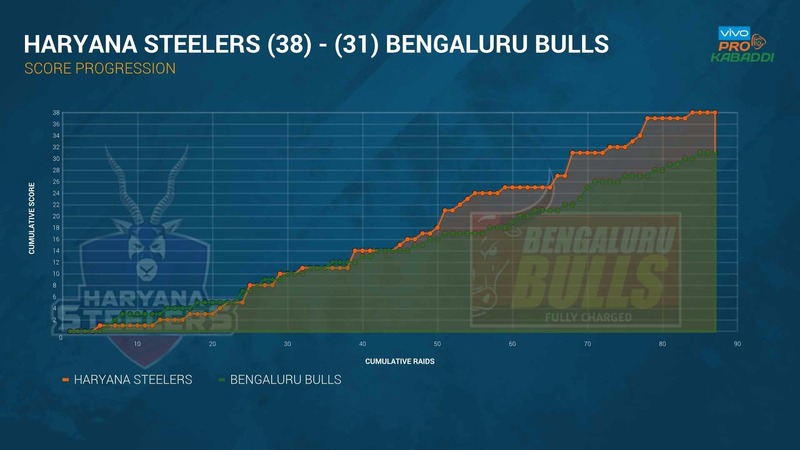 However, Bengaluru skipper Rohit Kumar managed a bonus point before Ajay managed a touch point in the final minute of the half to level things up at 14-14 heading into the break. Prashanth, who had been a thorn in the side of Bengaluru all night, brought up his Super 10 three minutes into the second period. This in turn helped set up the first All-Out of the game on Bengaluru a minute later to make it 21-17 in favour of the hosts. Bengaluru’s defence kept struggling to cope with the threat of Prashanth as the half progressed. The Steelers defenders, on the other hand, were starting to make their presence felt as the home side started to pull away from the Bulls. The southerners managed to regroup and cut Haryana’s lead down to five points as the match entered its last 10 minutes. 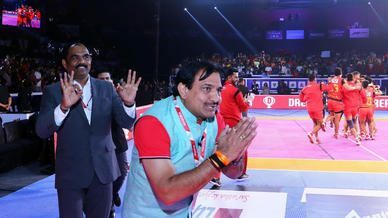 Dahiya though changed all that and extended the lead with successive successful raids that earned Haryana a total of six points. He picked up two points from the first raid before a four-point super raid in the next one. Ajay tried to keep Bengaluru in the hunt heading into the final five minutes through a super raid of his own. The Bulls defence, meanwhile, was struggling against Dahiya, who was unstoppable with swift raids. The hosts then put the game to bed with a little over three minutes on the clock by enforcing another All-Out on Bengaluru to make it 37-27. The Bulls did fight valiantly in the end but couldn’t prevent Haryana from taking full points.